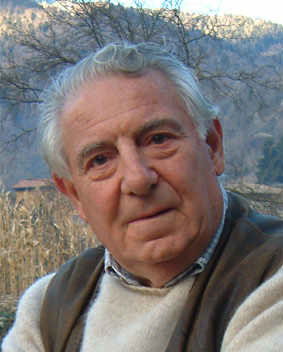 Emmanuel Anati is founder and Executive Director of the Centro Camuno di Studi Preistorici in Capo di Ponte, Italy, and Professor Ordinarius (ret.) of Palaeo-ethnology at the University of Lecce, Italy. Born in Florence, Italy, in 1930, Anati studied Archaeology and Historical Geography at the Hebrew University, Jerusalem (B.A., 1953; M.A., 1955). He specialized in Anthropology and Social Relations as a Fulbright scholar, at Harvard University, Cambridge, Mass. (A.M., 1959), and in Ethnology at the Sorbonne, Paris (Docteur es Lettres, 1960). He continued his training in the social sciences at the Universities of London and Oxford (1960-62) with a research grant from the American Philosophical Society. His principal scientific interests are the art and religion of prehistoric and tribal cultures. He has conducted research in Western Europe, the Near East, and other countries. Anati's work in Valcamonica, where he founded and heads the Centro Camuno di Studi Preistorici, has led to UNESCO's inclusion of the rock art of this alpine valley in its list of World Cultural Heritage. In Valcamonica he created a school for specialization in prehistoric art, the only existing institute of its kind in this field. One of his assignments (Sinai Project) concerns the discovery and archaeological investigation of the holy mountain of Har Karkom in the Negev desert. The findings reassess the Biblical epic of Exodus and place the problematic beginnings of monotheism into a broader view. He has been Professor of Prehistory at Tel-Aviv University, Israel and Professor Ordinarius of Palaeo-ethnology at the University of Lecce, Italy. He has taught in various other universities and research institutes in Italy, France, the United Kingdom, Israel, the United States and Canada. On behalf of UNESCO and various governments he has carried out research assignments and expeditions and has also served as consultant for the creation and development of archaeological reserves and parks, museums and other field projects in Australia, Israel, Tanzania, Malawi and other countries. He is the founder of the International Committee on Rock Art (CAR) of the International Council on Monuments and Sites (ICOMOS). From 1980 to 1990 he served as the first Chairman of the Executive Board. He has organized international congresses and seminars on prehistoric and tribal art, planned and developed large exhibitions, and has stimulated a broad international movement in this discipline. Since 1992 he has been Chairman of Institut Des Arts Préhistoriques et Ethnologiques (IDAPEE). Anati has edited several prestigious publications. He is the director of the periodical, "World Journal of Prehistoric and Tribal Art" (BCSP). He directed the series "The Footsteps of Man" for the Cambridge University Press, and the series "Le Orme dell'Uomo" for Jaca Book, Milan. He has written over 70 volumes and numerous monographs for leading publishers in Europe and America. Works by Anati have been published in over twenty languages. Among his publications are: La Grande Roche de Naquane, Paris (Masson), 1959; La Civilisation du Val Camonica, Paris (Arthaud), 1960, [English ed., New York (A.A. Knopf), 1961], [Italian ed., Milan (Il Saggiatore), 1964]; Palestine Before the Hebrews, New York (A.A. Knopf), 1963, [Italian ed., Milan (Il Saggiatore), 1964]; Rock Art in Central Arabia, Louvain (Institut Orientaliste), 4 vols., 1972-75; Hazorea, Capo di Ponte (Edizioni del Centro), 1973; Evolution and Style, Capo di Ponte (Edizioni del Centro), [Italian ed., 1975], [English ed., 1976], [French edition, 1978]; L'art rupestre du Negev et du Sinai, Paris (l'Equerre), 1979, [Italian ed., Milan (Jaca Book), 1979], [German ed., Bonn (Lubbe), 1981]; Le Statue-Stele della Lunigiana, Milan (Jaca Book), 1981; Luine, Collina Sacra, Capo di Ponte (Edizioni del Centro), 1982; I Camuni alle radici della civiltà europea, Milan (Jaca Book), 1982, [French ed, La Préhistoire des Alpes, Paris (Payot-Jaca Book), 1986]; Gli elementi fondamentali della cultura, Milan (Jaca Book), 1983; Har Karkom, Montagna sacra nel deserto dell'Esodo, Milan (Jaca Book), 1984; The Mountain of God, [French ed., Paris (Payot-Jaca Book)], [English ed., New York (Rizzoli)], [Italian ed., Milan (Jaca Book), 1986]; I Siti a Plaza di Har Karkom, Capo di Ponte (Edizioni del Centro), 1987; Origini dell'arte e della concettualità, Milan (Jaca Book), 1988, [French ed., Paris (Albin Michel), 1989], [German ed., Zürich (U. Bär Verlag), 1991]; Valcamonica riscoperta, Brescia (Ecoedizioni), 1989; Radici della Cultura, Milan (Jaca Book), 1992; Har Karkom In the Light of New Discoveries, Capo di Ponte (Edizioni del Centro), 1993; World Rock Art. The Primordial Language, Capo di Ponte (Edizioni del Centro), 1993; Valcamonica Rock Art: A New History for Europe, Capo di Ponte (Edizioni del Centro), 1994; La religione delle origini, SC vol. 14, Capo di Ponte (Edizioni del Centro), 1995; Les racines de la culture, Capo di Ponte (Edizioni del Centro), 1995; Brescia preistorica, Capo di Ponte (Edizioni del Centro), 1995; Il museo immaginario della preistoria. L�arte rupestre nel mondo, Milano (Jaca Book), 1995; I segni della storia, Roma (Di Renzo Editore), 1997; Esodo tra mito e storia, Capo di Ponte (Edizioni del Centro), 1997; L�art rupestre dans le monde. L�imaginaire de la préhistoire, Paris (Larousse), 1997; Höhlenmalerei, Zürich (Benziger), 1997; La religion des origines, Paris (Bayard Éditions), 1999; Har Karkom. 20 anni di ricerche archeologiche, SC vol. 20, Capo di Ponte (Edizioni del Centro), 1999; Les Mysteries du Mont Sinai, Paris (Bayard Éditions), 2000.